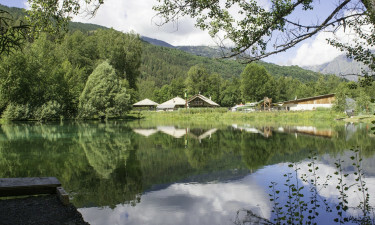 Set on the edge of the large and lovely Parc des Écrins National Park, La Courounba is a leading LuxCamp that can be found in the French Alps. While people who enjoy being active during their camping holiday will find plenty to do here, this is also a great place to simply soak up the impressive scenery. The French Alps is a popular destination for people who enjoy hiking and trekking and several good trails start close to La Courounba. However, guests can also take part in a range of activities right on the site itself such as swimming, tennis and boules. 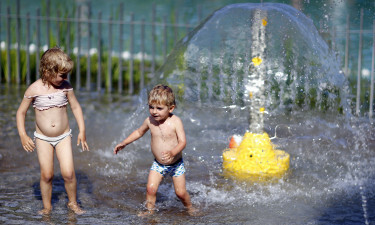 Children of all ages are sure to love playing at the onsite water park, which comes complete with a waterslide and is watched over by a resident lifeguard. A bouncy castle is also set up in the ground of La Courounba for the little ones to jump around on. Parents will be able to indulge in pure pampering at the onsite spa. This is a luxury camping experience that should not be missed and in addition to first class treatments, guests are granted full use of the sauna and hot tub.